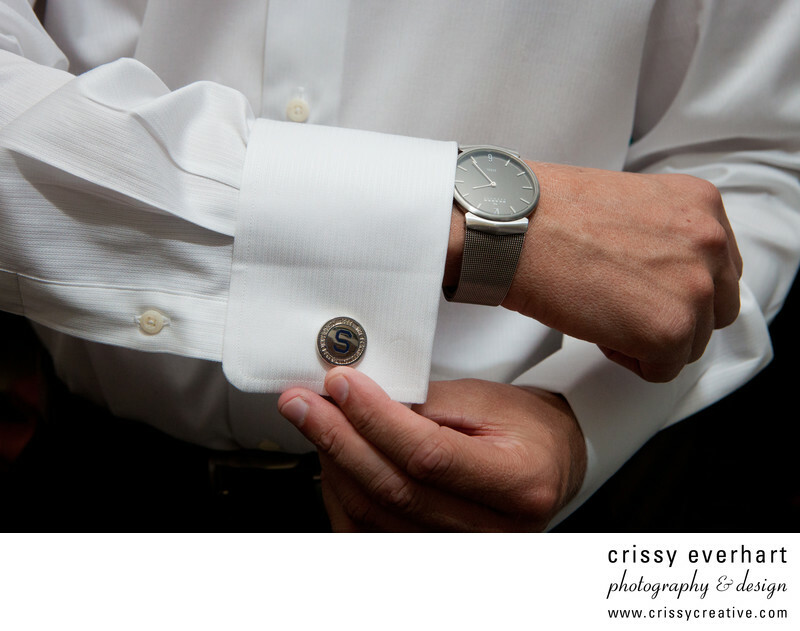 The groom shows off his new watch and cuff links in this groom prep photo at Penn Oaks Golf Club in West Chester. The groom also has his own special wedding details, not just the bride! It's important to photograph the guy's stuff, too.